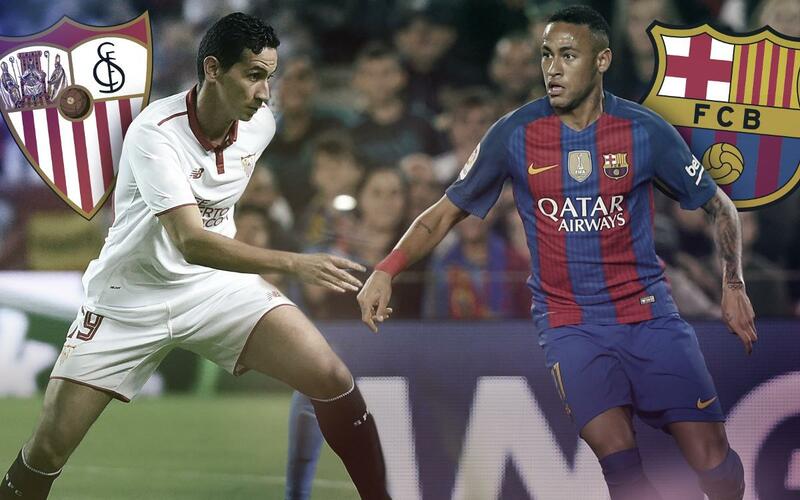 The duel on Sunday between FC Barcelona and Sevilla at the Ramón Sánchez Pizjuán stadium will see Neymar and Ganso come face to face once again. The two Brazilians will be opponents in La Liga four years after they shared a dressing room for the last time at Santos. Between 2009 and 2012, Neymar and Ganso formed a devastating partnership that helped the Brazilian club to success in the Copa Libertadores, a victory that allowed them to make it to the Club World Cup in 2011 where they lost 4-0 in the final to none other than FC Barcelona. “Ganso is a great guy, he is quiet but he is a great player with the quality to play wherever he wants,” added his former Santos team mate. Paulo Henrique Chagas de Lima, or ‘Ganso’ to football fans around the world, left Santos in 2012 to join rivals São Paulo. This summer he made the move to Europe, signing for Sevilla. Slowly but surely, he has worked his way into coach Jorge Sampaoli’s plans, having so far appeared in four league matches and one Champions League game. In contrast, Neymar is far more experienced in the European game. The Brazilian forward has played more than 150 games for Barça and can already boast winners’ medals from the Champions League, two league campaigns, two Copas del Rey, a Club World Cup, a European Super Cup and two Spanish Super Cups.